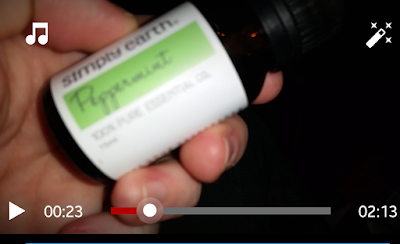 I am absolutely loving this peppermint essential oil. I have been using peppermint essential oil for basically everything. Everything from headaches, oil pulling, brushing teeth, and so much more. I have even been using peppermint oil to make homemade bath bombs. There are so many things you can use peppermint oil the possibilities are endless. 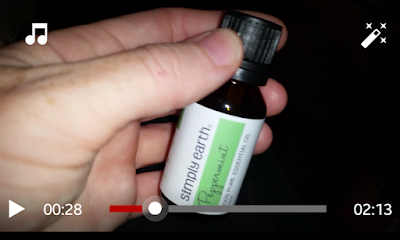 A little bit about simply earth essential oils the peppermint essential oil is 100% pure nontoxic no additives unfiltered and undiluted with no fillers. These oils are packaged in the USA in a 15 ML amber glass bottles. 50% more than the standard 10 ML bottles. Simply earth is a small eco-friendly purpose driven family company. If you didn't know they donate 13% of profits from every product purchase to organizations that are rehabilitating trafficking victims. I love my essential oils!! Question of the Day: Do you use Essential Oils?? And if so what are some of your favorites? ?